Dear friends, let us love one another, for love comes from God. Everyone who loves has been born of God and knows God. This is how God showed His love among us: He sent His one and only Son into the world that we might live through Him. And so we know and rely on the love God has for us. God is love. This was a wonderful moment to teach Brennan about the bottomless well of Jesus’ love for us. I explained that every time we pour out love for one another, Jesus fills us right back up with more love, and Brennan could rest assured that if he gave Daddy all of his love, Jesus would fill his heart right back up with more love to share with mommy. I told Brennan that it’s impossible for Jesus to run out of love because He is love. Jesus doesn’t just have love, He is love - unconditional, in fact. And this unconditional love and extravagant grace of Jesus Christ is our starting place in raising wholehearted children. What this means, practically speaking, is that we must, yes must, start by giving our children authentic, irresistible Jesus and affirming their identity as His child, a beloved child of the King. This is so essential to raising wholehearted children because teaching our children who Jesus really is and what His nature really is towards them will have a profound impact on their desire to know Him, love Him, and trust Him with their whole hearts. 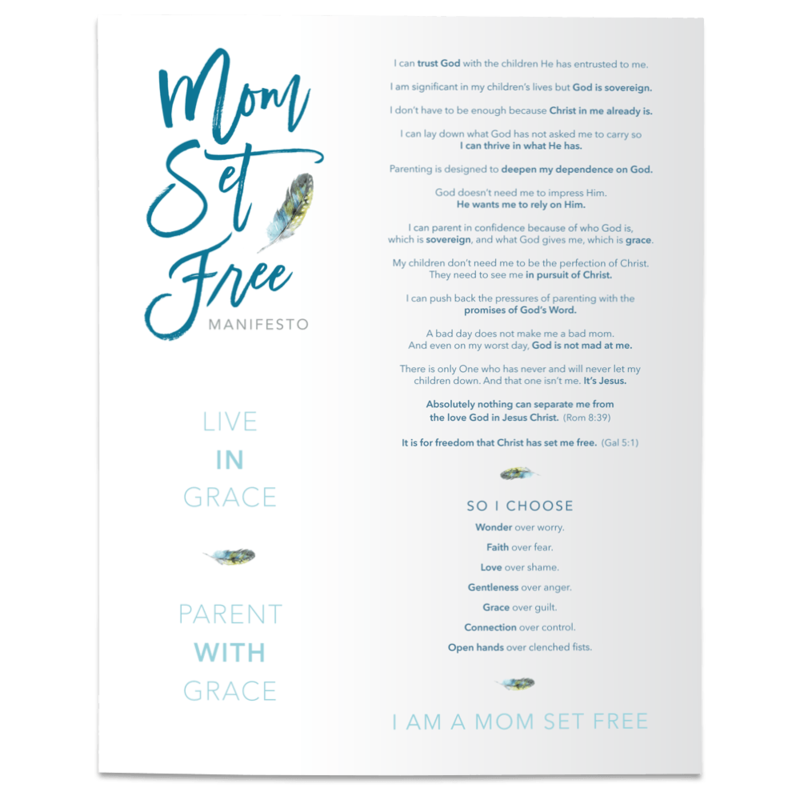 Now you may be wondering, as I certainly did, “Ok, if grace is going to be my starting place, what is the most important thing I can do for my kids?” This was my burning question when I first began to loosen my grip on perfection and allowed grace to begin to infuse my parenting. And while the answer to this question is so simple, it’s something I have to surrender to on a daily basis because it is so counterintuitive to what most of us have been taught about “doing more” and “trying harder” to make Jesus “more pleased” with us. So here it is, the answer to the burning question and the truth I have to surrender to on a daily basis: The most important thing we can do for our kids is captivate them with what Jesus has already done for them! That is the essence of grace as our starting place. Giving our children authentic, irresistible Jesus, and teaching them about His wild, constantly-pursuing, never-ceasing, no matter what, one-way love for them ignites their hearts to more fully know and love Him. This love is so captivating! And this is why our starting place in raising wholehearted children is an identity grounded in His grace. I hope to share with you, through future blogs in this section, how we can make this extraordinary grace the firm foundation we give our children, that they might grow in Christ-like character and a vibrant friendship with Jesus!